a dat day sakae city tun jus like jamaica. histiry & culture of jamaica, jerk chicken, clothes, accessories, foundation reggae music to brand new dancehall with soundsystems all around inside park.nuff singers, deejays & daners go pon de stage. 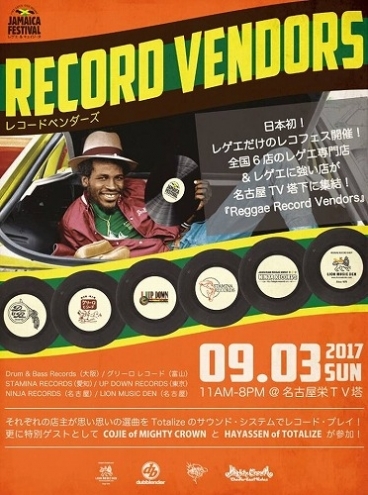 in the corner, the 6 reggae record shops of all over Japan gather in Nagoya. please come & enjoy yourself. mi a wait pon onuh with raggamuffin style.